In TEN TWO JACK, Agent Kim Otto has an exciting chase from Detroit to Chicago to Houston and deep into Mexico. Her adventures are filled with near misses and near death experiences, but in each spot she finds an oasis as peril looms. The third stop on Otto’s journey is Houston, Texas. This large cosmopolitan city boasts an underground pedestrian tunnel system and one of the biggest rodeos in the world. As the fourth largest city in America, Houston offers an abundance of things to do. The city hosts festivals of all sorts year-round, such as the Houston Water Festival and the International Film Festival. For the bookworms among us, Friends of the Houston Public Library Book Sale is a massive annual book sale where readers can peruse more than 80,000 books. Wow! Houston’s culinary scene is heaven on earth for foodies. From fine dining to food trucks, there is a seemingly endless selection of delicacies from across the globe to choose from. It’s no surprise that Houston residents are said to eat out more times a week than residents in any other city in America. 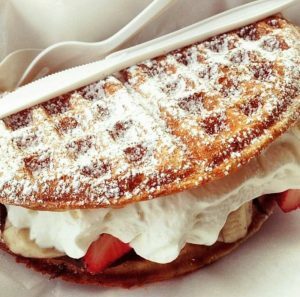 After all, who could say no to The Waffle Bus or Bernie’s Burger Bus? Houston is also home to a few fascinating curiosities, including summer nights beneath the Waugh Drive Bridge where thousands of bats emerge. Once the sun sets, the bats suddenly appear in large swarms that resemble a “black cloud.” Thrilling or terrifying? On a quirky note, the highly unique Beer Can House is a must-see for tourists. The 1500 square foot house is completely covered in flattened aluminum beer cans. It’s believed that over 50,000 cans were used to create this masterpiece. The little home has quickly become one of the city’s most recognizable icons. Those seeking a thrill can join in on the real-life treasure hunt. The treasure was reportedly buried in Houston’s Hermann Park in the 1980s and is said to value around $1000. It was hidden by sci-fi and fantasy author, Byron Preiss, who died in 2005. He left behind a baffling trail of riddles and illustrated clues in the 1981 book “The Secret: A Treasure Hunt.” There is a whole community of secret Facebook groups and forums built around trying to decipher where the mysterious treasure is located. Houston has its fair share of peril, which is helpful for a thriller enthusiast. According to NeighborhoodScout, the chances of becoming a victim in a violent crime are 1 in 95. 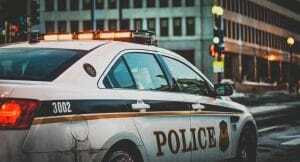 Houston’s violent crime rate is 166% higher than the rest of the nation. Perhaps most chilling of all is a 50-mile stretch between Houston and Galveston nick-named ‘The Killing Fields’, where over thirty women have disappeared since the 1970s. Next week we’ll talk about Otto’s time in the trendy tourist destination of Guadalajara Mexico. Hidden in the corners of these scenic views and tourist venues is a dark side of Mexico that is quite frightening. You can learn more about the pleasures and perils of Mexico here. 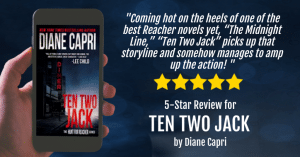 Check out my newest thriller, Ten Two Jack, to join Agents Otto and Gaspar on their exciting chase where FBI Special Agent Kim Otto fights to the death in the gripping finale.